On 14th January 2019, Hanoi - WWF signed the Code of Conduct on Combating Plastic Pollution, joining 59 other international organisations and embassies in Hanoi and Ho Chi Minh City to reduce single-use plastic items in the offices. 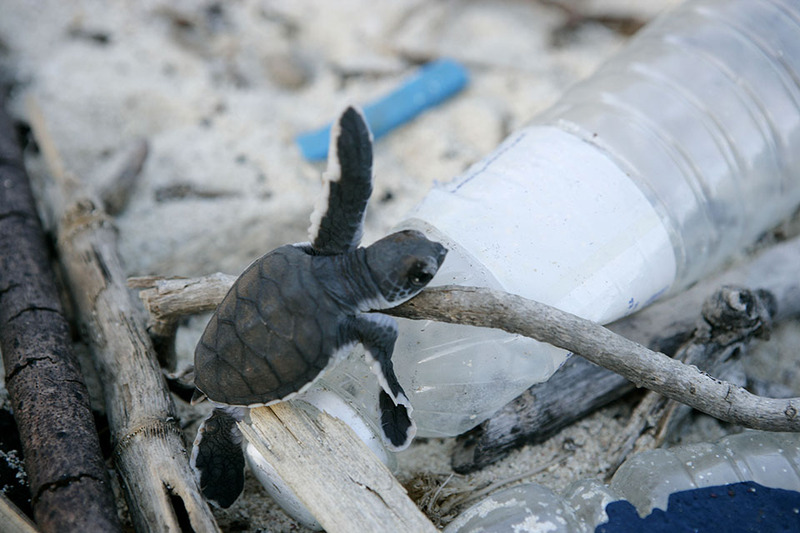 Plastic pollution has become a pressing global issue with devastating ecological consequences. Vietnam is listed as one of the top 5 countries, together with China, Indonesia, Philippines and Sri Lanka, responsible for discharging the most plastic waste into the ocean every year. This Code of Conduct (CoC), an initiative of the Embassy of Canada, was created in response to the urgent need to address the plastic pollution situation in Vietnam. As international agents working in Vietnam, these organisations and embassies want to take the lead and inspire others to follow the path. To encourage all of our partners (government, project, institutional), suppliers and service providers to adopt low-or no plastic waste- emitting options wherever and whenever possible. Addressing plastic pollution has been a high priority for WWF-Vietnam recently, and we have implemented these actions within our offices, encouraging our partners to follow. Signing this CoC demonstrates our ongoing commitment to combat plastic pollution and work with others on this issue. WWF-Vietnam is currently working in Phu Quoc to reduce plastic waste in an effort to make it the first plastic-free island in Vietnam. In Long An province in the Mekong Delta, we are working with the local authorities and communities to reduce waste discharge to the river system. We also mobilise other forces in this fight by working with schools, businesses and the public with a series of public awareness activities.